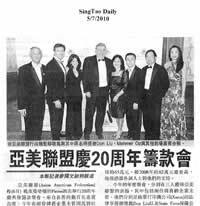 ASIAN AMERICAN FEDERATION GALA: The Asian American Federation held a very special event at the Pierre Hotel last night and plenty of familiar faces were there from the Fox family. 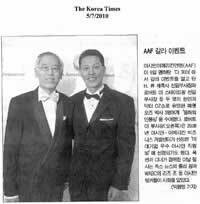 I was one of the co-hosts of the Asian American Federation Gala and among those being honored for their outstanding contributions: Dr. Oz, Dennis Swanson, President of Fox Television Stations- who is also a board member for the Asian American Federation- presented Dr. Oz with his community service award. Fox 5 General Manager Lew Leone and Reporter TiHua Chang also helped celebrate the group's 20th Anniversary Gala.